In a traditional auto accident, there are only two parties, or maybe four if you wish to count insurance companies. However, with a trucking accident, there may be many more parties involved. Consider contractors, owners of the trucking company, trucking operators, the truck manufacturer, and even governmental entities. There may even be parties responsible for the accident that you can’t immediately identify. 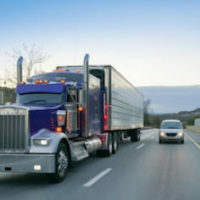 An experienced attorney with trucking accidents will know who to look for and where to find them in order to facilitate the settlement of your claim, which is important; if all those involved aren’t identified immediately, the statute of limitations could prevent parties from being held responsible for their liability. Trucking is governed by laws and regulations binding on the industry. These rules include how many hours a truck driver may be on the road, the weight limits on a particular vehicle or load, what roads or lanes a truck driver may use, and the like. The average automobile driver may be unfamiliar with these laws or may even not know that they exist at all. An attorney with experience in trucking accident claims will be aware of these laws and will be able to use them as leverage to get the best possible result for your claim. In South Carolina, the law has an approach called modified comparative negligence. This means that if you are partially at fault for the accident, you may not receive all of the settlement to which you would originally be entitled. For instance, imagine that you are awarded a $100,000 payout for your accident. If you are found to be 10% responsible for the accident, that number will be reduced by 10%. If you are more than half responsible for the accident, you may not be entitled to anything at all. An attorney experienced with trucking accidents is the best defense against comparative negligence and its rules, and can help you navigate claims that you are at fault or are partially at fault for the accident. There are several methods of settling a claim, some of which don’t require going to court. Your claim could settle, or you could be required to go through mediation or arbitration for your claim instead of going to court. Mediation and arbitration are alternatives to traditional litigation in court and involve going before a neutral third party to settle the claim. These steps will be even more complicated because, as discussed above, there may be multiple parties involved in your claim. Your attorney, if experienced with trucking accidents, will know how to go about settling your claim either in or out of court in order to get you the best possible outcome. There are several considerations that make truck-related accidents more complex and complicated than other automobile accidents and personal injury cases. These differences mean that an experienced professional is a must-have when it comes time to file your claim. Contact an experienced Columbia truck accident lawyer today at The Stanley Law Group. Call 803-799-4700 and set up a consultation today.